Whether it’s the graceful lines of a Biellmann, the speed and energy of a flying camel, or the simple joy of a perfectly centered scratch spin, nothing defines the artistry of skating like a well-executed spin. Kim Ryan, Spinergy’s creator and founder, is the Pacific Northwest’s premiere figure skating spin specialist. Inspired by the creativity and individuality students are able to express through spins, and seeing the new emphasis being placed on spins in competition and judging, Kim wanted to create a curriculum that would provide a focused and energized approach to both the art and mechanics of spinning. 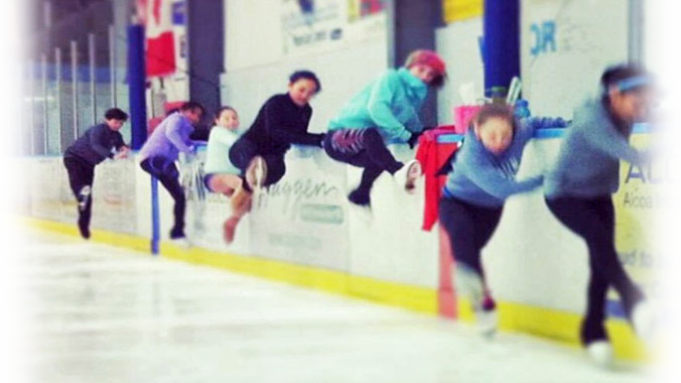 Her unique Spinergy program helps skaters grow aptitude, appreciation and creativity. In 2005 Kim Ryan decided to focus her coaching skills into one area of figure skating–SPINNING. Kim felt the discipline of spinning was always at the core of her strength as a coach, and she was inspired by the creativity and individuality students were able to express though spins. In addition, spins were gaining new focus and attention with judges everywhere. At this time, very few coaches specialized in spinning. Kim saw the need for a proficient, focused and energized approach to both the art and mechanics of spinning and developed a curriculum she named “Spinergy” to accomplish this goal. 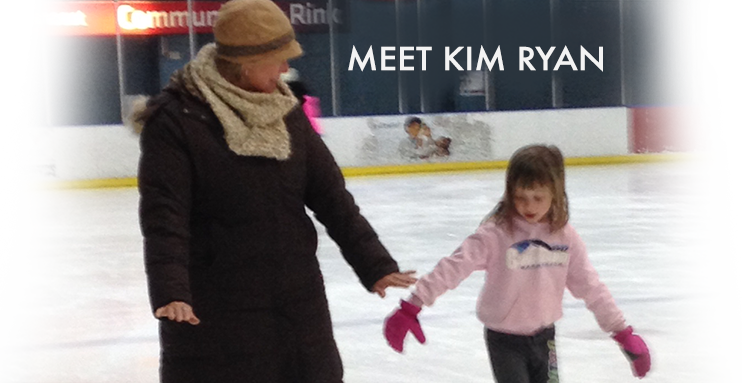 Kim Ryan offers private instruction opportunities in 15-minute increments at participating rinks throughout the Pacific Northwest. For students located in other parts of the globe, Kim Ryan offers her very popular and effective Facetime instruction sessions, also available in 15-minute increments. Kim Ryan can tailor on-location Spinergy Seminars to be held at any rink, anywhere. Interested clubs can choose from 1-, 2- or 3-day seminars. When choosing a new and creative position within a spin, you are only limited by your body’s strength and flexibility. Beyond that, the sky’s the limit! Here a student demonstrates variations with a broken leg sit spin. Choose one of your favorite spins and experiment with what position looks good while keeping balance on the sweet spot of your blade. Be sure that you are also still able to increase speed. Try twisting this way or that, head up or head down, or different arm positions. Now, go have fun and create! Over her 38 year career, Kim Ryan has had the distinct honor of seeing many students achieve awe-inspiring grace, athleticism and accomplishment. Share in the "great moments" and the "little victories" in our Gallery. Want to catch up with Kim Ryan for private instruction or one of her traveling Spinergy Seminars? View Kim's calendar to find and register for an upcoming event in your area. 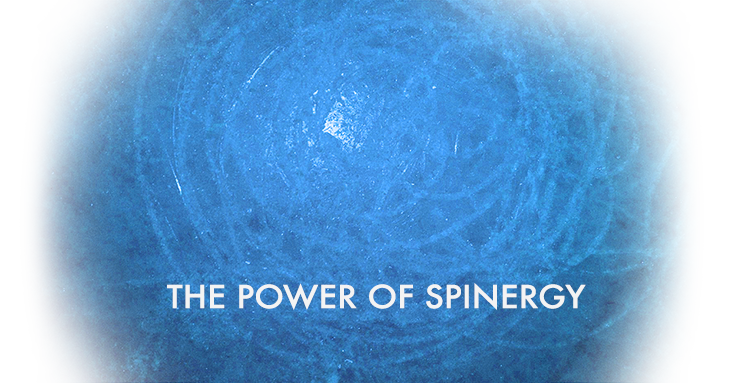 Welcome to Spinergy, a Website dedicated to figure skaters who want to be better spinners. I am so excited to be launching my first site, and sharing my love of spinning with you! "I have had the honor of working with Kim at many different stages of my life. I started working with her at a young age..."
What is a camel spin? The camel spin is a spin which is done on one leg with the non-skating leg, or free leg, extended backward with knee higher than hip level. The body remains in this "spiral" position while spinning. What is a flying spin? A flying spin is a spin in which the entrance is a jump. No rotation on the ice is permitted before the take-off. What is a layback spin? Generally performed by women, the layback spin involves an upright spin position where the head and shoulders are dropped backward and the back arches. What is considered a "difficult spin variation of position"? A difficult spin variation of position is a movement of the body part, leg, arm, hand or head which requires physical strength or flexibility and that has an effect on the balance of the main body core. Only these variations can increase the Level. There are 11 categories of difficult variations, among them 3 in camel position based on direction of the shoulder line: camel forward (CF) – with the shoulder line parallel to the ice; camel sideways (CS) – with the shoulder line twisted to a vertical position; camel upward (CU) – with the shoulder line twisted more than vertical position. If the free leg drops down for a long time while preparing for a difficult camel variation, the corresponding Level feature is still awarded, but the Judges will apply the GOE reduction for “poor/awkward/unaesthetic position(s)”. The same reduction will be applied if it takes a long time for the skater to reach the necessary basic position. What are the requirements for “change of foot executed by jump” & “jump within a spin without changing feet”? These are awarded only if the skater executes 2 revs in a basic/non-basic position before the jump, reaches a basic position within the first 2 revs after the landing and keeps this basic position at least for 2 revs. Copyright © 2019 Kim Ryan - Spinergy. All rights reserved.